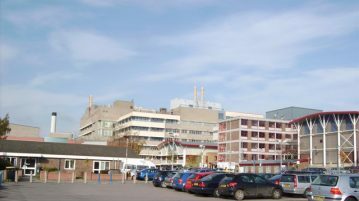 HomePosts Tagged "Southampton General Hospital"
A cake sale is taking place today to raise funds for TV equipment in the D10 ward of Southampton General Hospital. An inquest into the death of a University of Southampton student in Hartley Grove halls found the cause of death to be suicide. Police continue to probe after a man is injured by a homemade firework explosion. A murder investigation has been launched following the death of a local man in Eastleigh this morning. Today, doctors and nurses are in Sainsbury’s, Portswood, offering free, five-minute lung tests to all shoppers. A man has been charged with attempted murder following a stabbing incident on Burgess Road last weekend.